the likeness of lush, serrated petals with unique magnificence. 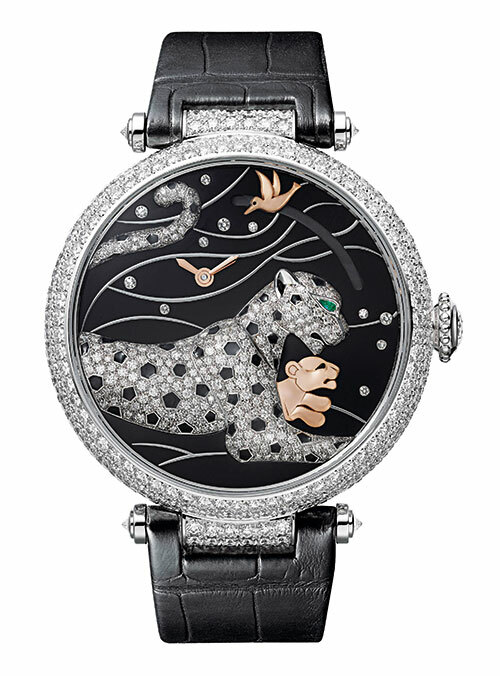 Representing a new leap in bejewelled high complications, the Panthères et Colibri features an 18-carat white-gold, diamond-set panther with a rose-gold hummingbird overhead. 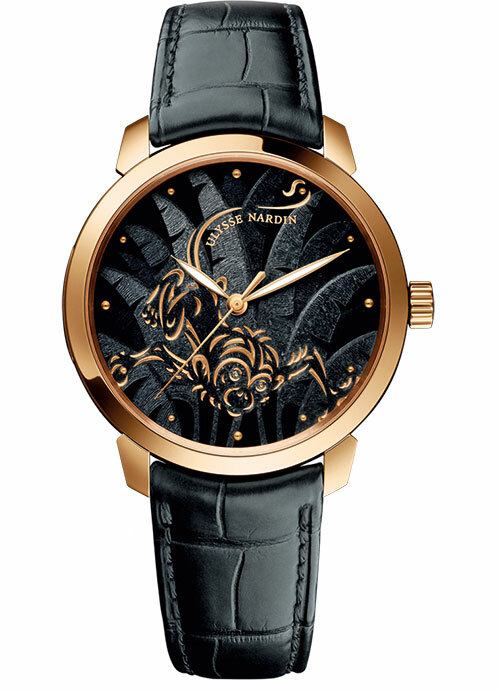 The dial animation is activated by pressing the crown — a pink-gold baby panther emerges from below its mother, prompting the bird to ascend along an arc from the 3 to 12 o’clock position. The extent of its flight signposts the residual power reserve of the movement. 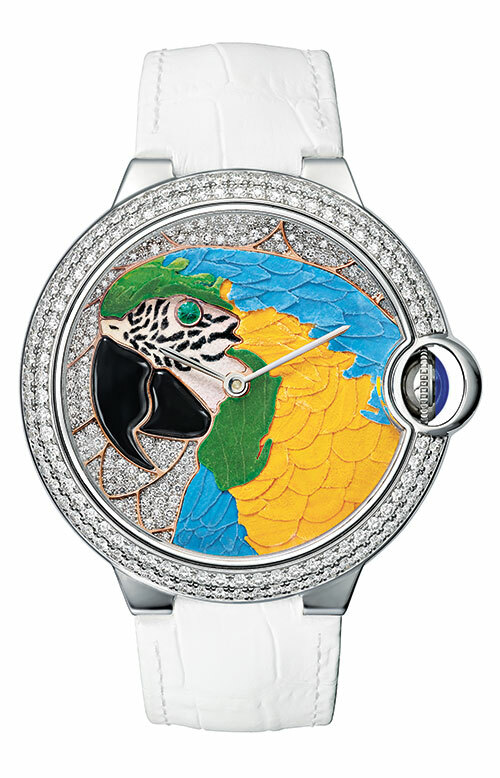 Meanwhile, the Ballon Bleu de Cartier ‘floral-marquetry parrot’ watch incorporates actual rose petals that are preserved, coloured and attached to miniscule slivers of wood, which are further hand-carved into forms that imitate parrot feathers. The brand’s exclusive collaboration with Russian jeweller Ilgiz F has resulted in pieces that illustrate every grand feu enamelling and gem-setting technique. 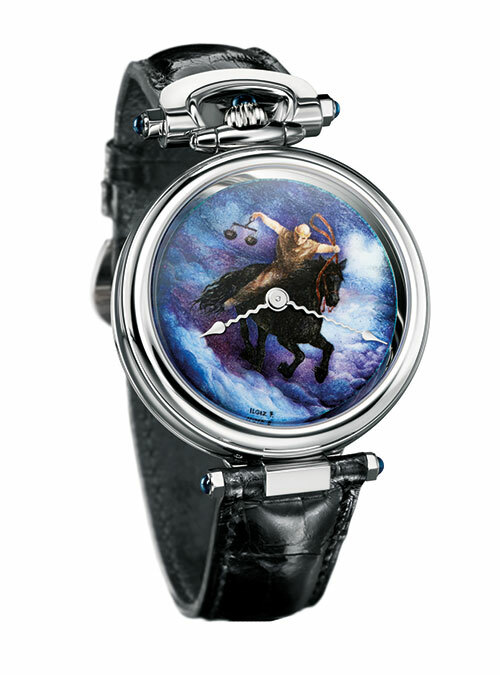 The Amadeo Fleurier 43 “Rider of the Apocalypse — Famine” Grand Feu Enamel and the Amadeo Fleurier 39 “Orange Iris” Grand Feu Enamel both feature fired enamel miniature paintings on 18-carat gold baseplates, with the latter also flaunting a pavé dial set with 76 diamonds. 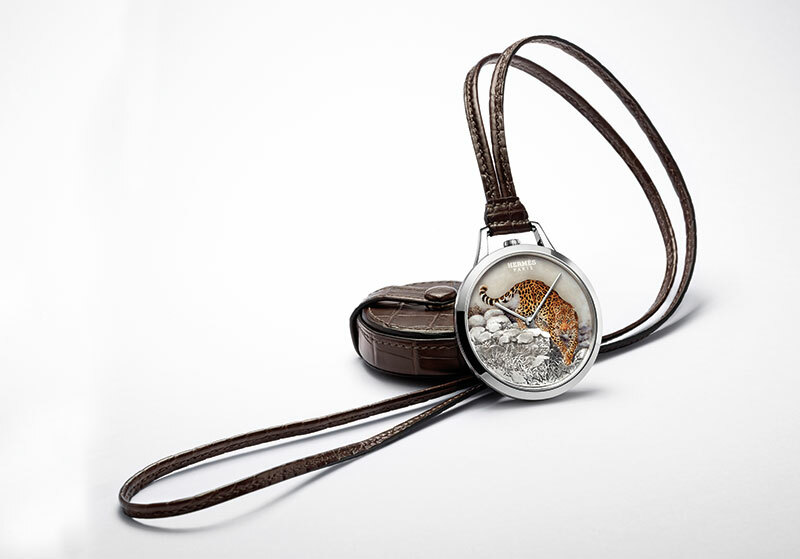 Designed in comic-strip style by the expert artisans at Donzé Cadrans, the dial of the Classico Monkey steals all the attention with its champlevé enamelling. The colours are achieved using metallic oxides, producing a gold monkey with iridescent palm fronds in the background. 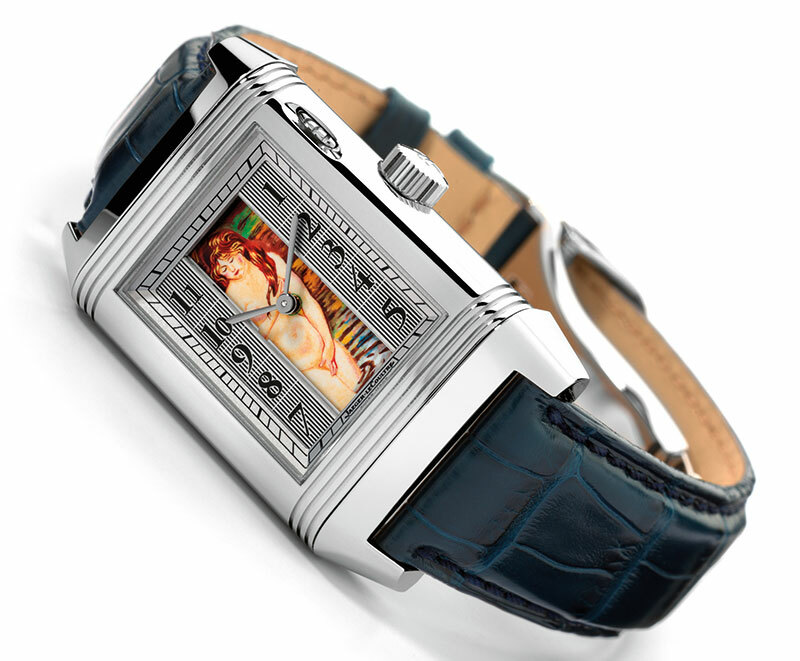 Paying homage to the beauty of works by Renoir, Ingres, Klimt and the anonymous masters of traditional Mogul art, the Reverso à eclipses timepieces demand a complete mastery of the miniature style. 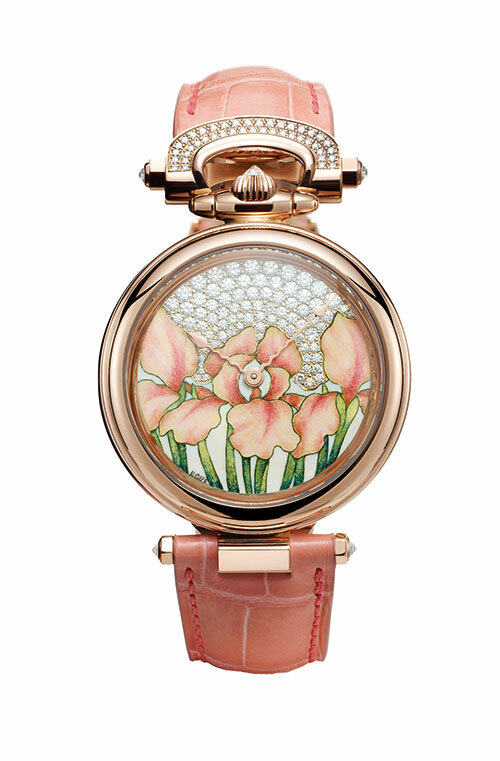 These watches offer three different views of a hand-painted dial within a platinum or 18-carat pink-gold case. 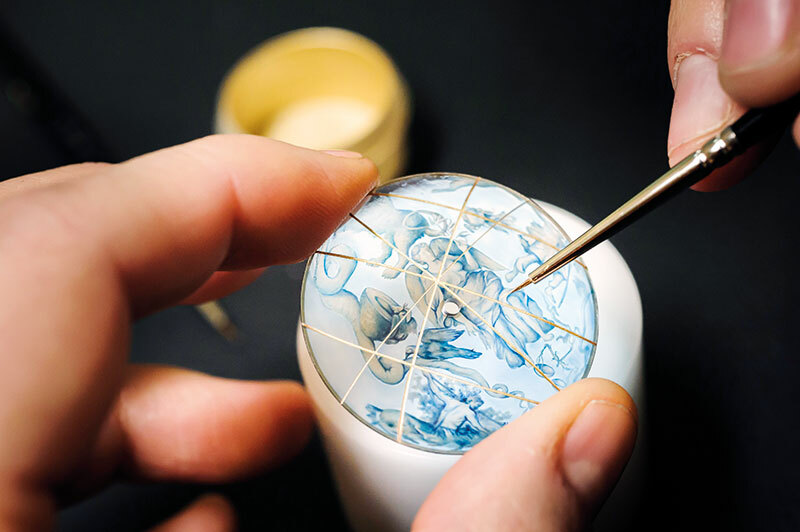 The new DB25 Imperial Fountain series, inspired by the bronze heads which once embellished an ornate fountain in Yuanmingyuan, depicts animals from the Chinese zodiac on an 18-carat gold dial with a grand feu enamel background. Even so, aficionados of Western astrology need not feel left out. 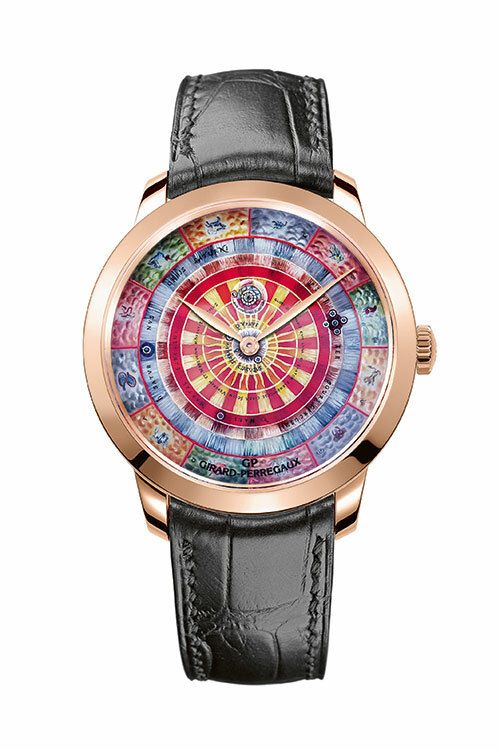 The DB25T Zodiac boasts 12 figures representing the different sun signs and a clear engraved dial, reminiscent of the astrology-inspired clock towers in Venice and Rouen. 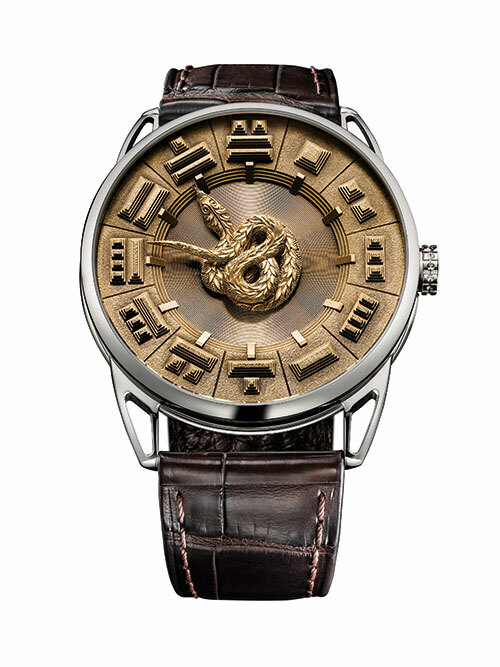 The DB25 Quetzalcoatl further illuminates not only the brand’s hand-engraving proficiency but also that in making solid gold micro-sculptures. 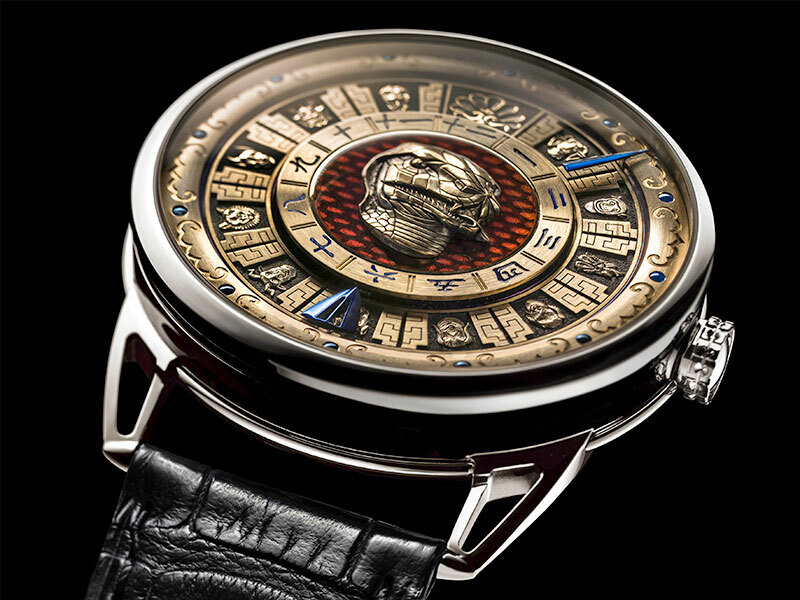 It is an ode to an ancient Meso-American folklore deity — the Quetzalcoatl — which is believed to have influenced the cycle of time and protected artisans and goldsmiths. 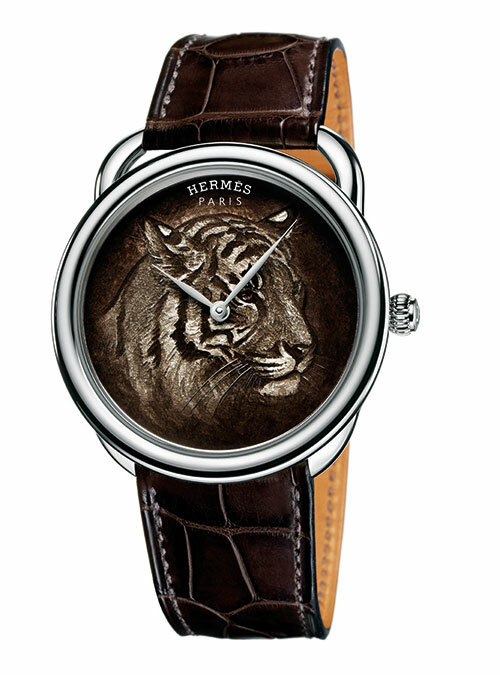 Born from a sketch by artist Robert Dallet, the Arceau Tigre is the first watch crafted using the original email ombrant (shaded enamel) technique, which uses light to reveal a three-dimensional motif on the dial and took two years to adapt to a watch. 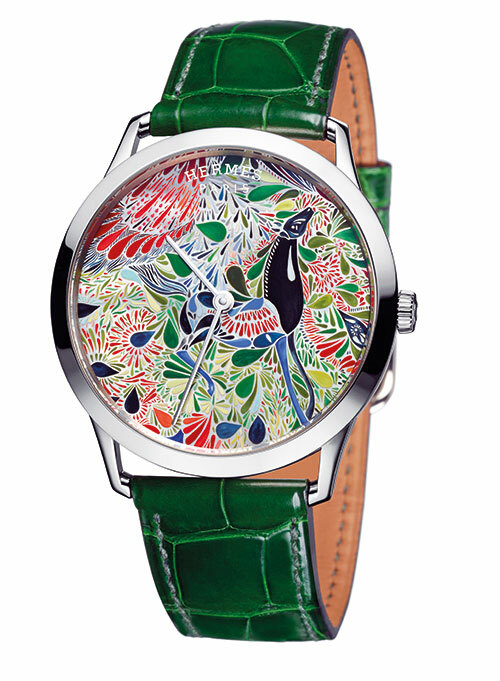 Carrying on the animal trend in métiers d’art, the Slim d’Hermès Pocket Panthère is the product of a powerful collaboration between enamel painter Anita Porchet and engraver Jean-Vincent Huguenin. The panther itself is the only element that isn’t engraved — it is painted using the grand feu technique. 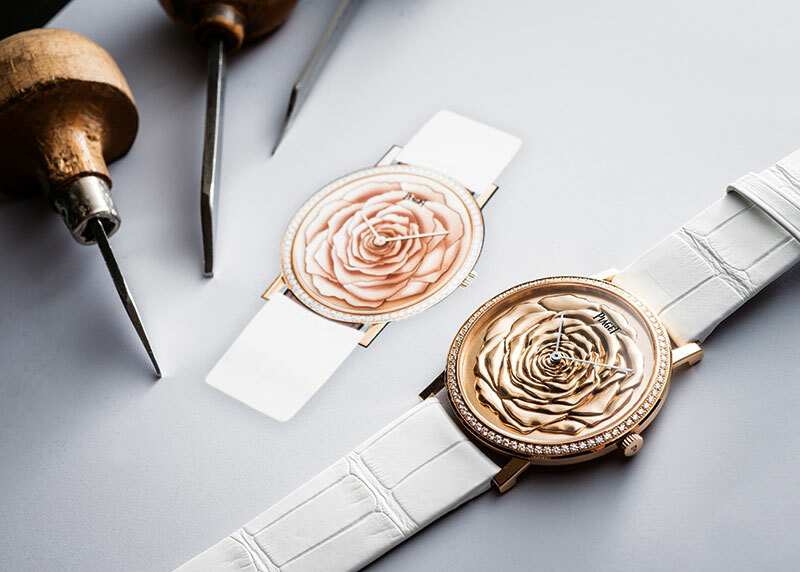 Inspired by a silk scarf created for the brand by graphic designer Laetitia Bianchi, the Slim d’Hermès Mille Fleurs du Mexique presents the art of miniature painting using a mother-of-pearl dial as a canvas. 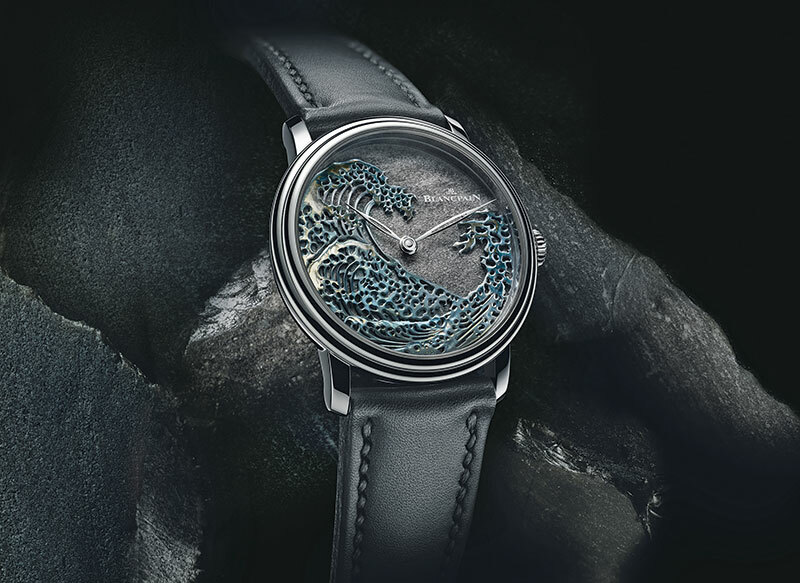 A nod to a print of the same name by Japanese artist Hokusai, The Great Wave features Mexican silver obsidian, a semi-transparent volcanic rock, using one of the brand’s favoured techniques, Japanese rokushō. Enriched by a number of new models featuring spring motifs, the Mademoiselle Privé Coromandel collection reflects the opulent lacquered Chinese coromandel screens adored by Gabrielle Chanel. 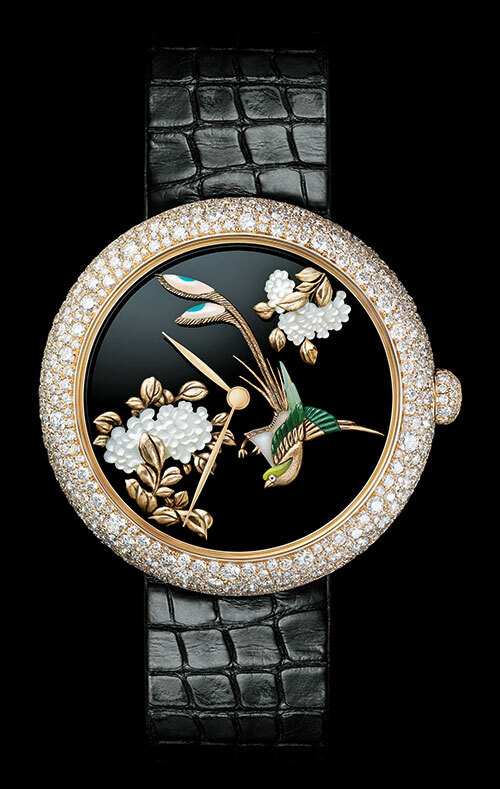 With each of the latest creations, grand feu enamelling and sculpted gold stand out against black onyx dials, depicting scenes from daily life, flowers and even the Chinese landscape. 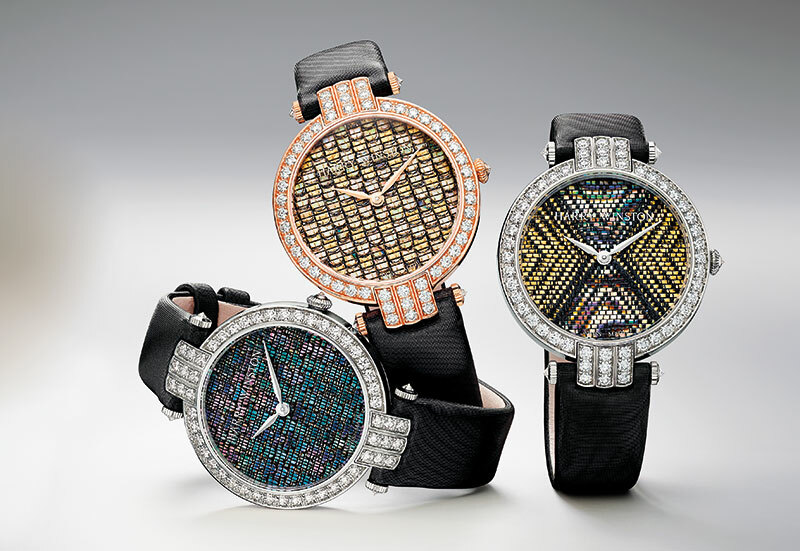 The Premier Precious Weaving Automatic 36mm watches highlight the Japanese art of Raden, an ancient technique which uses silk thread and slivers of natural mother-of-pearl to weave a luminous fabric. 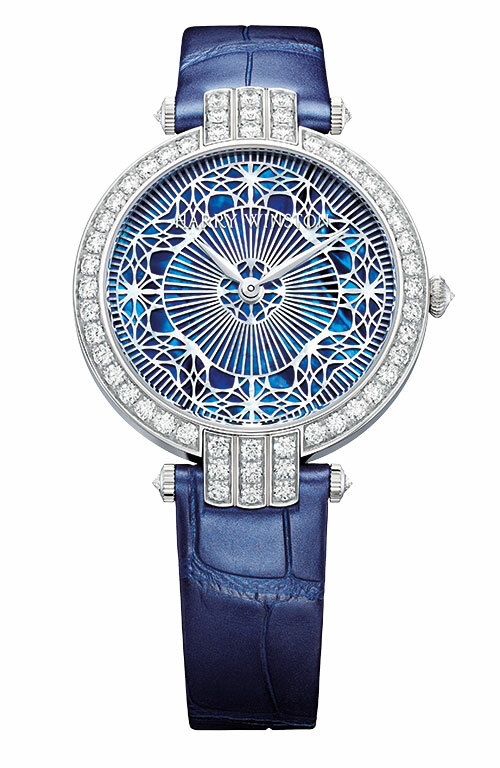 Elaborate yet absolutely elegant, the lacework on the Premier Pearly Lace Automatic is directly cut from a wafer-thin disc of mother-of-pearl. 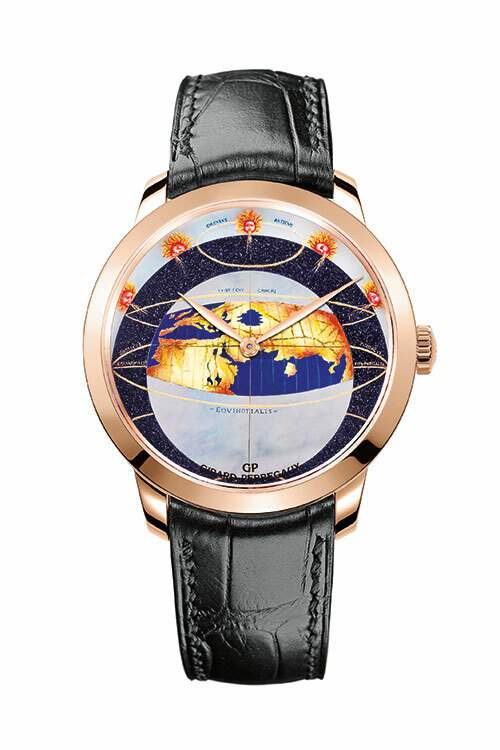 The brand introduces three new models in its collection dedicated to Renaissance Europe’s cartographic knowledge. The Chamber of Wonders — Center of the Universe Earth uses stone marquetry and miniature painting to highlight Greco-Roman astronomer Ptolemy’s geocentric theory — the model of an Earth-centred solar system. On the other hand, The Chamber of Wonders — Center of the Universe Sun is based on Copernicus’ sun-centred or heliocentric system. 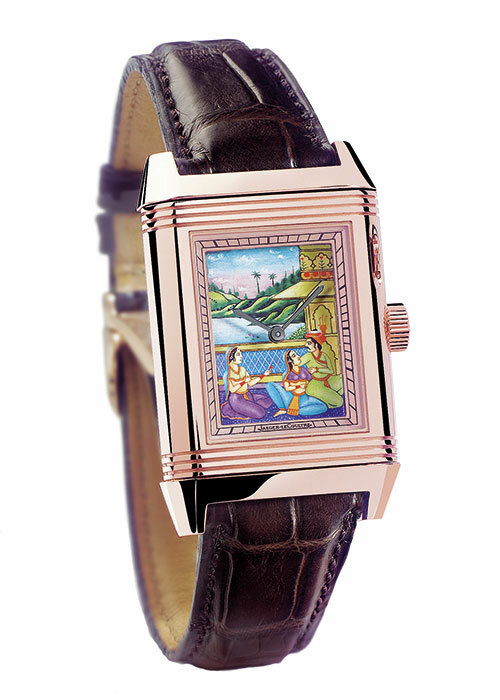 It boasts a mosaic-adorned dial in grey jade, cornelian, orange aventurine and pale orange jasper. The Chamber of Wonders — Celestial Globe focusses on Vincenzo Maria Coronelli, an Italian Franciscan monk. He created two giant globes for Louis XIV, one of which shows the sky as it was seen on the king’s birthday. 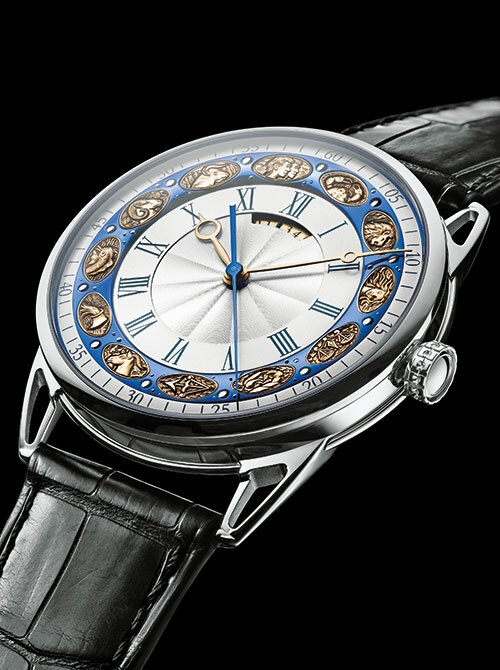 The illustrations, which were done by French painter Jean-Baptiste Corneille, have been hand-painted on the dial along with engraved lines filled with gold powder.